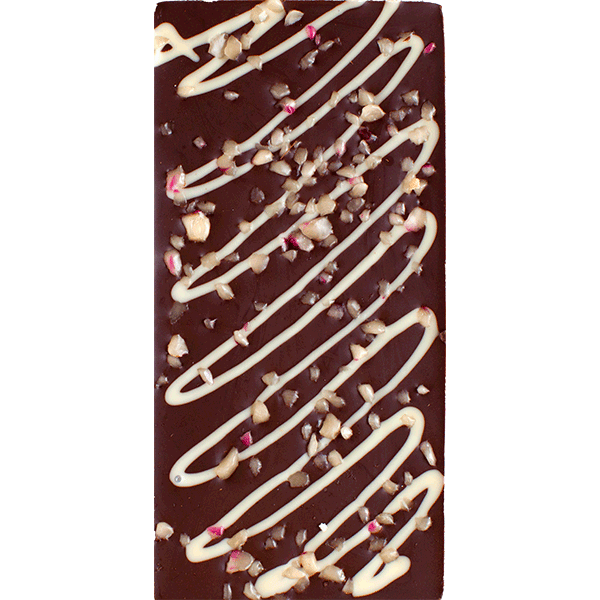 Dark Belgian chocolate packed with crushed, organic peppermints. INGREDIENTS: Unsweetened chocolate, sugar, cocoa fat, ORGANIC CANE SYRUP, ORGANIC BROWN RICE SYRUP, PEPPERMINT OIL, BEETROOT JUICE, soy lecithin added as emulsifier, natural vanilla flavor. May contain: milk.